In its whitepaper 2.0, BOScoin set out a clear vision for its future, namely an evolution of Project Financing into Public Financing for a better capitalism — using credit creation through participation, impact investment based on voting, and commonization of certain real world assets. In order to implement Public Financing on the blockchain, BOScoin is developing three key technologies, and is continuing to share visible outcomes with the wider developer community. The following are the key technologies BOScoin is working on to enable Public Financing. ISAAC Consensus Protocol — A consensus protocol for the BOScoin mainnet, it is based on the mFBA (modified Federated Byzantine Agreement), which brings together the strengths of the SCP (Stellar Consensus Protocol) and the FBA (Federated Byzantine Agreement). This allows data to be safely and efficiently stored on the blockchain. ISAAC is the protocol that will be used on all BOScoin processes, and is an acronym of the four steps in the consensus — Initializing, Signing on, Accepting, and All-Confirming the process. TRUST Contract — A contract language for Public Financing, it uses OWL (Web Ontology Language) and TAL (Timed Automata Language) technologies to allow ordinary users to easily read and understand the contract. OWL organizes the contract to ensure all relevant parties understand its language, while TAL verifies that all aspects of the contract are accurately processed. Fully Homomorphic Encryption Based Voting on the Congress Network — The Congress network and the participation of BOScoin holders form a governance system for the Public Financing projects. Public Financing projects initialized on the Congress Network carry information on the purpose of the project, expected returns, project size, price at the point of token creation, amount of allocated tokens, and plans to redistribute to the community. Initialized projects are then signed using the BOScoin fully homomorphic encryption technology. This allows for a fully secret ballot, while preventing Sybil Attacks and ensuring the one-person, one-vote principle is followed. The BOScoin ARIST (Advanced Research Institute for Social Trust, http://arist.io/), takes on the role of engineering and verifying platform Reliability, Scalability, and Privacy in order to accelerate adoption and commercialization. The institute will hire over twenty mathematics, physics, software engineering, and other experts to research the consensus protocol, trust contracts, privacy technology, and public financing. The testNet implementation of our consensus protocol, codename ‘SEBAK’ will be open sourced, and released to the public in June. The details on SEBAK will be announced in early June. 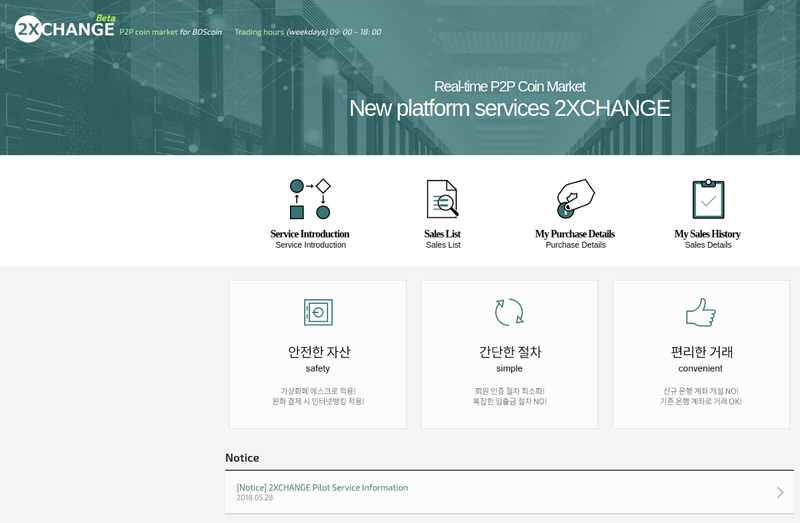 2Xchange (https://www.2xchange.co.kr/main.jsp) the BOScoin p2p exchange, launched with BOS/KRW trading pairs yesterday. We continue to work with exchanges to list our token. We can not comment on individual exchanges, but we are working on new exchange listings. When there is a public announcementregarding an exchange listing, then we will inform the community. We have less than 10% of the coins remaining from the BOScoin initial distribution. The majority of not yet claimed coins are from bounty participants. If you have not already claimed your tokens then please follow the claim guide https://medium.com/@boscoin/newsletter-october-30th-2017-9dafb1801e5f and request your coins. We will distribute claimed coins on the1st and 3rd Monday of every month from now on. If you have any issue with the claim process please email contact@boscoin.io.